Estonia – with its relatively short lived history of independence and much longer history of occupation – retains a close identity with its neighbors: Finland, Denmark, Germany and Russia are all closely tied with Estonia’s history and culture and so is the music of composers such as Sibelius, Nielsen, Mahler and Shostakovich which are integral to the orchestra’s repertoire. With eventual independence the country’s own orchestral identity has grown phenomenally over the last few decades and, as ambassadors of Estonia’s musical culture, the Järvi conducting family dynasty has championed the music of composers including Arvo Pärt, Lepo Sumera, Eduard Tubin and Erkki-Sven Tüür all of whose works have reached audiences across Europe and beyond. Until now the Estonian Festival Orchestra has performed only in Pärnu but in August 2017 it will make it’s first tour performing in neighboring countries around the Baltic coast and at Scandinavia’s most prominent festivals. In January 2018 the orchestra will then spread it’s wings further afield with concerts already planned in the major European capitals, including Brussels, Berlin, Vienna, Zurich and Luxembourg. This tour, which also celebrates the 100th anniversary of Estonian Independence, will include a new orchestral work by Estonian composer, Erkki-Sven Tüür, which will receive it’s international premiere in Brussels on 18 January. 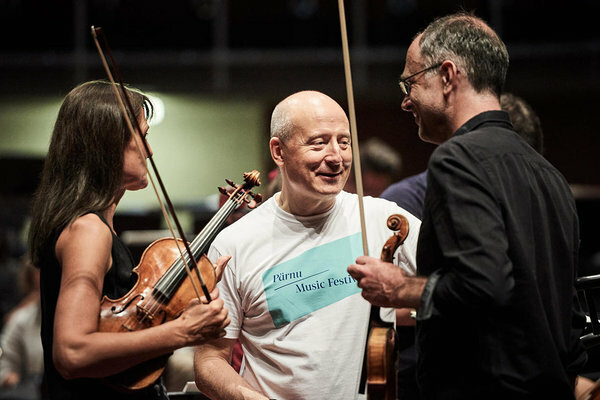 These two important milestones for the orchestra are made possible by the support of the Estonian Ministry of Culture and Estonia 100, as well as artist management Harrison Parrott, all of which have embraced Paavo Järvi’s vision to bring greater recognition to his native country and celebrate Estonia’s cultural identity within Europe.